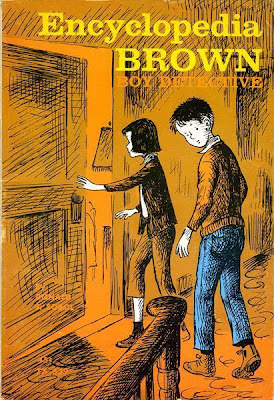 Donald J. Sobol, the creator of the beloved character Encyclopedia Brown (Boy Detective) and book series, reportedly died last week (on July 11, 2012). However, it wasn't until today, when a Publishers Weekly Twitter account sent a message that announced his death that the news was of his passing was communicated with the public. Sobol's son told the Associated Press today that his father, who was born in New York, had died of natural causes in Miami. He was age 87. The first in the Encyclopedia Brown book were published back in 1963, but it grew into a very prolific series during the '70s and has never gone out of print. 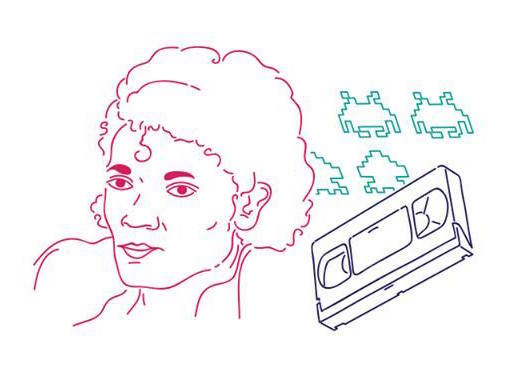 I think kids that grew up in the '70s and '80s were especially familiar with the series, probably moreso than kids of today who have more reading options available to them, with online bookstores like Amazon.com and BarnesandNoble.com available to them. But, back in those days, we had fewer choices, and these books were always a popular option at school Book Fairs. In truth, I read more than a few Encyclopedia Brown books when I was a kid. The stories were written for youngish (like grammar school/grade school) readers, but the "crimes", if you can even call them crimes, were usually things like petty thefts (like stolen lunch money). Never murder, major theft or anything very serious. The clues, in my recollection, weren't especially well-articulated or well-written, and some were sometimes ridiculously vague, but others featured criminals who were usually incredibly stupid, so kids with reasonable intelligence could usually solve the those mysteries as well as Encyclopedia Brown could. Still, they did instill an appreciation for solving puzzles in a crime scene, and probably helped TV shows like CSI do well among audiences today. Also, from December 3, 1978 to September 20, 1980, Encyclopedia Brown was a daily and Sunday comic strip published by Universal Press Syndicate. The artwork was reportedly done by Frank Bolle, although Donald Sobol was credited as the comic strip's writer. In any event, this is a day for me to remember, as one of the writers I grew up with is now part of history. Incidentally, the name "Encyclopedia Brown" doesn't have quite the cache it once did, in part because nobody has encyclopedias anymore, so an entire generation is pretty clueless about what those were. A few spoofs have since been done to try and bring the guy into the 21st century by calling him "Wikipedia Brown" (see HERE), and a while back, The Onion reported that Encyclopedia Brown had been found in a dumpster in his hometown of Idaville (see HERE). Neither were legitimate, but my news, unfortunately, is legit. See the news courtesy of The New York Times at http://nyti.ms/PuDVXE).